Hundreds of people are feared to have drowned after a boat carrying up to 700 migrants capsized in the Mediterranean Sea, the Italian coastguard says. The vessel, thought to be just 20m (70ft) long, capsized at midnight local time in Libyan waters south of the Italian island of Lampedusa. So far only 28 people have been rescued and 24 bodies retrieved. Italy’s PM said it was a European tragedy and called for an extraordinary EU summit on the migrants issue. Matteo Renzi said he could not verify the number of deaths, but that it would be a “dramatic amount”. The UN refugee agency, the UNHCR, said the latest sinking could amount to the largest loss of life during a migrant crossing to Europe. At least another 900 migrants have died crossing the Mediterranean this year. Italian naval and coastguard ships, the Maltese Navy and cargo vessels, along with three helicopters, are involved in the rescue operation, 130 miles (210km) off the coast of Lampedusa and 17 miles from the Libyan coast. The Italian coast guard’s spokesman told the BBC the operation was still focused on search and rescue, “but in time it will be a search [for bodies] only”. 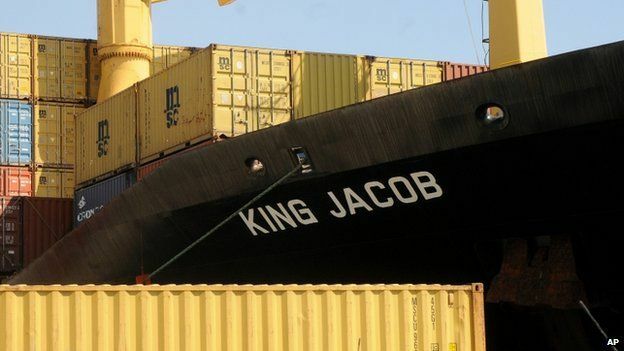 The migrants reportedly fell overboard when they rushed to draw the attention of the passing Portuguese merchant ship King Jacob, causing their ship to capsize. 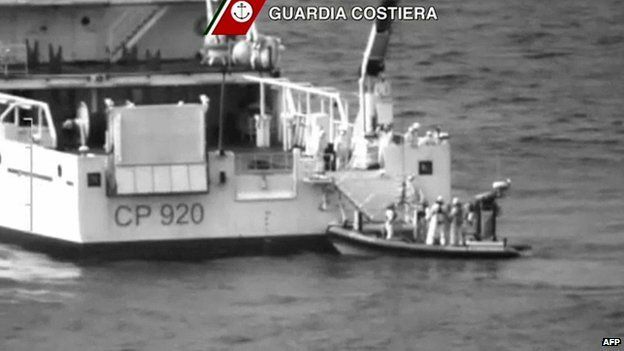 The Italian coastguard says the 28 survivors and 24 bodies are now on its vessel the Gregoretti. 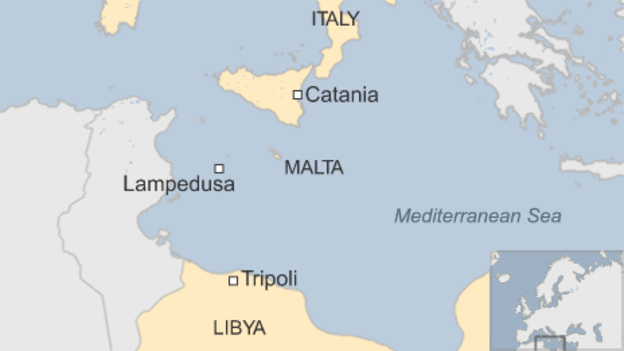 Lampedusa is scrambling to react to the latest horror in the seas off its coastline. Much of the harbor has emptied. Coastguard, customs and fishing boats all left before dawn to help with the rescue. Lampedusa is the most southerly point of Italy – nearer Africa than the Italian mainland. Locals say that since January – when the EU took control of patrolling Europe’s maritime borders – between 9,000 and 10,000 migrants have arrived on the island. Maltese PM Joseph Muscat said rescuers were “literally trying to find people alive among the dead floating in the water”. Urging the EU summit, Mr Renzi said: “It is unthinkable that in the face of such a tragedy, there isn’t the feeling of solidarity which Europe has shown in other instances. He said the trafficking was “a plague in our continent – the slavery of the 21st Century”. 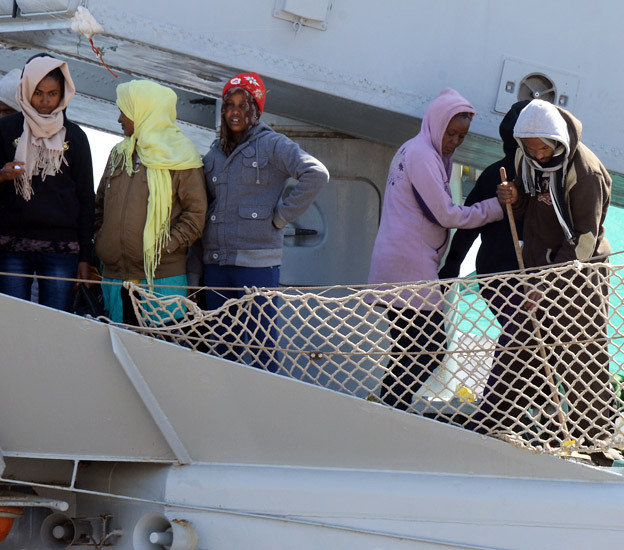 Citing the fact that 91% of the migrants coming to Italy had left from Libya, Mr Renzi said that more rescue ships was not the answer – “the boats must be stopped from departing”. The EU has been criticized for ending its maritime rescue operation, Mare Nostrum, last year. Some EU members said they could not afford it and expressed concerns that it was encouraging more migrants. The EU now runs a more limited border control operation called Triton. Pope Francis expressed his “deepest sorrow” over the sinking. “These are men and women like us who seek a better life. Hungry, persecuted, injured, exploited, victims of wars. They were looking for happiness,” he said. EU foreign policy chief Federica Mogherini said the recent wave of migrant boat disasters was “unacceptable”. “We have said too many times ‘never again’. Now is time for the European Union as such to tackle these tragedies without delay,” she said. EU foreign ministers will meet to discuss the migrant issue on Monday. The UNHCR said that migrant boats had carried 13,500 people into Italian waters last week alone. And last year, a record 170,000 people fleeing poverty and conflict in Africa and the Middle East made the perilous crossing to Italy. Thousands died making the journey.